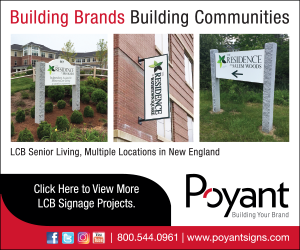 Foxboro, MA – Pare Corporation recently announced additions to its team. Michael G. Mitchell, P.E., joined Pare’s civil division as a senior project engineer. He has over a decade of structural design experience, including light industrial buildings, water/wastewater treatment plants, and water control structures. Heather Shanks joined as an engineer in the geotechnical division. She is currently assisting with the fieldwork for the Narragansett Bay Commission combined sewer overflow program. Brendan M. Pickett, who completed an internship in the civil division in the summer of 2017, recently returned to Pare to take a full-time position as an engineer and will assist with several structural design and retrofit projects. Jon P. Nanni II, engineer, joined the geotechnical division of Pare. He is currently assisting with the design improvements of Stafford dams No. 3 and 4 in Union for the Connecticut Water Company. Katherine K. Feeney has joined Pare’s transportation division as an engineer. She will support a wide range of activities, including assisting with traffic, roadway, and stormwater-related projects. Tyler J. Greco also joined Pare’s transportation division as an engineer and is currently helping to design a pedestrian bridge as part of the design for the Wayside Trail in Waltham, Mass. Kyle N. Tronerud was hired as an engineer upon completing an internship at Pare in the environmental division. His senior design project, “Water Distribution System Feasibility Study and Design for Touisset Point,” was awarded first place for the “Fresh Ideas Student Poster Contest” by the New England Water Works Association. Albert M. DiBiasio, C.S.T., is returning to Pare in the role of a senior resident construction manager for the transportation division. He served as a senior CAD technician and project coordinator at Pare from 2002 to 2006.